Originally called Images a la Sauvette, this title is a meticulous facsimile of the original book. It assembles the author's best work from his early years. The Decisive Moment-originally called Images a la Sauvette- is one of the most famous books in the history of photography, assembling Cartier-Bresson's best work from his early years. Published in 1952 by Simon and Schuster, New York, in collaboration with Editions Verve, Paris, it was lavishly embellished with a collage cover by Henri Matisse. The book and its images have since influenced generations of photographers. Its English title has defined the notion of the famous formal peak in which all elements in the photographic frame accumulate to form the perfect image. Paired with the artist's humanist viewpoint, Cartier-Bresson's photography has become part of the world's collective memory. This new publication is a meticulous facsimile of the original book. It comes with an additional booklet containing an essay on the history of The Decisive Moment by Centre Pompidou curator Clement Cheroux. Henri Cartier-Bresson's iconic photography book, "The Decisive Moment," has been republished, 62 years after the highly influential collection of his early work was first released.--Aurelien Breeden "The New York Times Arts Beat " Cartier-Bresson's concept of the "decisive moment" -- a split second that reveals the larger truth of a situation -- shaped modern street photography and set the stage for hundreds of photojournalists to bring the world into living rooms through magazines.--James Estrin "The New York Times Online " A decisively beautiful object that belongs in the library of anyone who cares about photography... From editing and sequencing to packaging, it's a masterpiece.--Pat Padua "Spectrum Culture " Reprinted to the exact specification of the original, including Henri Matisse's collage cover design, Steidl's care and craftsmanship is astounding. At 11.5" by 15," it's actually too large for my bookshelf. The spreads are sized according to the dimensions of the framelines of Cartier-Bresson's beloved Leica camera, allowing for a single large image, two vertical images, or four smaller horizontal images to fit on each spread. The sequencing is seamless and affecting-it is one of the most immersive experiences I have ever had with a book. The book's physical presence and high image quality demands not only respect for the work inside, but for it to be treated as a work of art in and of itself.--Evan Paul Laudenslager "theartblog.org " It's immediately obvious that The Decisive Moment is a hedonistic delight, at least if your idea of hedonism is flexible enough to extend to the tactile and visual pleasure of a photography book.--Gary Cockburn "One Thousand Words " Diligently reproduced to the finest detail, Steidl seems to have resisted the urge to over embellish the new edition with unnecessary addendums. Cartier-Bresson likely would have dismissed an elaborate reconstruction of his book as crass and egregious. The Decisive Moment is about the aesthetics of coincidence, and the faith to follow intuition. Like every brilliant unexpected moment, things can never be truly recreated, but only faithfully retold.--Krystal Grow "Wired " With the winter months slowly waning away, what better time is there to grab a good book, a hot beverage, and lounge in bed on a chilly and blustery evening? Luckily for you, we went ahead and picked the most enticing coffee table books that will be released this month, which can be viewed in the slideshow above.--Devon Ivie "Interview " The Decisive Moment has finally been republished. Sixty-two years on, it still carries the weight of its initial importance - even if the notion of the decisive moment no longer holds sway as it once did; staged photography, conceptual strategies and digitally manipulated images have all but rendered it old-fashioned except to purists, photojournalists and street photographers.--Sean O'Hagan "The Guardian " One of the most influential (and yet hardest to find) photobooks in print gets the Steidl gold-standard reprint treatment here. Available for the first time in sixty years, Henri Cartier-Bresson's Decisive Moment still sizzles with taut, kinetic energy. From the Matisse-designed cover through the tightly edited image selection, it's a brilliant mix of street photography and reportage, photos that, despite being perfectly composed, feel very alive. Many of them have evolved from classics to cultural wallpaper. The book reminds us of Cartier-Bresson's genius--just in case you needed a reminder.--Mark Murrmann "Mother Jones " More than ten years after his passing, the renowned street and social documentary photographer Henri Cartier-Bresson--who so famously coined the term "the decisive moment," or the second when all of the compositional elements of a scene come into harmony--continues to charm, fascinate and inspire photographers worldwide. 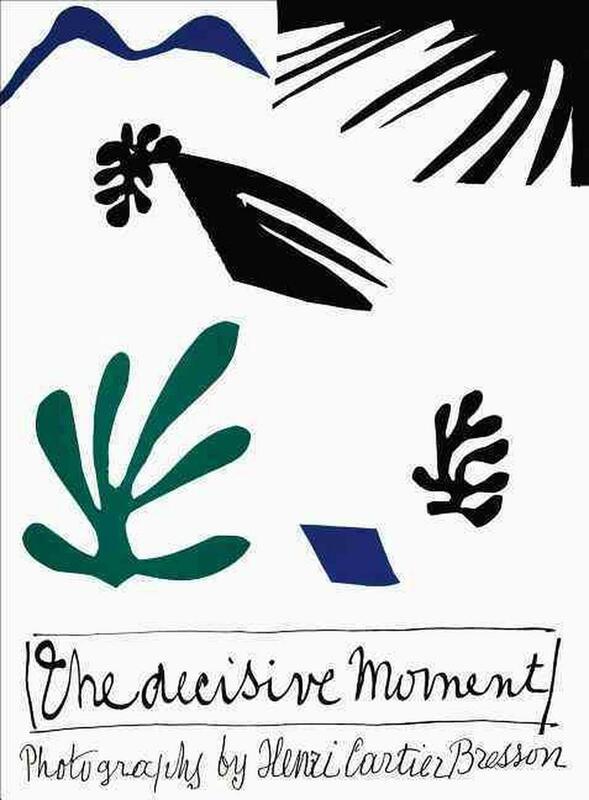 The Decisive Moment (Steidl), Cartier-Bresson's book that was first published in 1952 by Simon and Schuster, is reentering the market. This latest edition, which will also be covered in Matisse cutouts like the original, highlights the photographer's revered early work, and it will come with a booklet of an essay on the history of The Decisive Moment by Cl ment Ch roux, the Centre Pompidou curator.--Libby Peterson "Rangefinder " Cartier-Bresson captured people in a flash in a private or telling moment, rather than how they might formally present themselves, and in the process offered an essential truth about the human condition.--Marjorie Backman "Afterimage " Within the canon of European photography books it would be difficult to find one more famous, revered and influential as Henri Cartier-Bresson's Images a la Sauvette or, as the American edition is titled, The Decisive Moment.Its value as an out-of-print collectable has risen over the past few decades resulting in keeping this masterpiece out of the hands of many younger photographers. Finally, after 62 years, it is again seeing the light of day this December with a gorgeous facsimile from the German publishing house Steidl.--Jeffrey Ladd "TIME Lightbox " Within the canon of European photography books it would be difficult to find one more famous, revered and influential as Henri Cartier-Bresson's Images a la Sauvette or, as the American edition is titled, The Decisive Moment. For new generations of photographers and artists who have missed out on experiencing many of the world's important books first hand, it cannot be stressed enough how important this new edition of The Decisive Moment is for a contemporary audience. "Robert Frank's The Americans and Cartier-Bresson's The Decisive Moment were published within a few years of each other in the 1950s and both books have since become the blueprint for the modern photography book," Steidl says. "When you look at them, the design, the sequencing of the photos and the printing are - even 60 years later - much better than most of the printed books on the market today. My intention in reprinting both has been to analyze the contents of the books, the intention of the photographers, and to print them in exactly the same way, so the next generation can see how these fine books were made and secure the future of photography publishing." --Jeffrey Ladd "Time Lightbox "